Experiencing slow starts or dim lighting? Bring your vehicle into Sunrise Volkswagen in Lynbrook, NY ‐ serving Rockville Centre, Long Beach, Garden City and Franklin Square ‐ for a battery check or replacement. When your battery isn’t working properly, you run the risk of being stranded on the highway with no power. Don’t put yourself in that kind of situation; bring your vehicle in and let our trained technicians check your battery and tell you about our replacement options. A genuine Volkswagen battery is what’s best for your car, so we have a full range of power ratings and each battery is competitively priced so you know you’re getting a good deal. 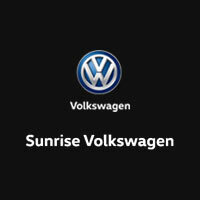 Come in today to get your battery checked by visiting Sunrise Volkswagen at 931 Sunrise Hwy, Lynbrook, NY.